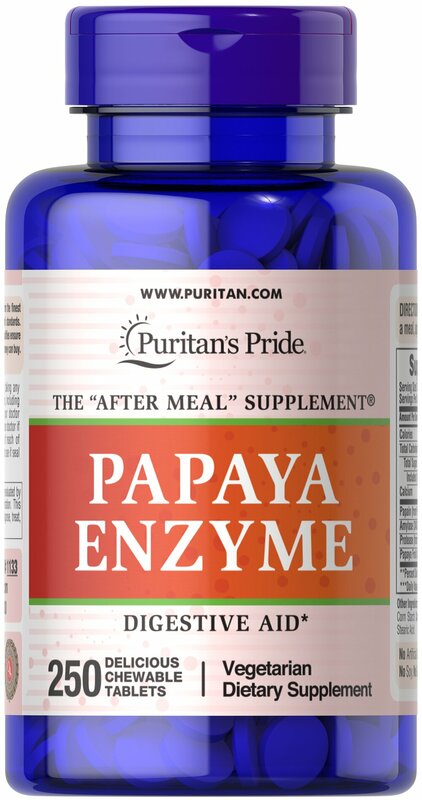 Each pleasantly small, delicious, chewable fruit flavored Papaya tablet contains the enzyme papain. Starch- & preservative-free! No Artificial Color, No Preservatives, No Milk, No Lactose, No Soy, No Gluten, No Wheat, No Yeast, No Fish, Sodium Free.